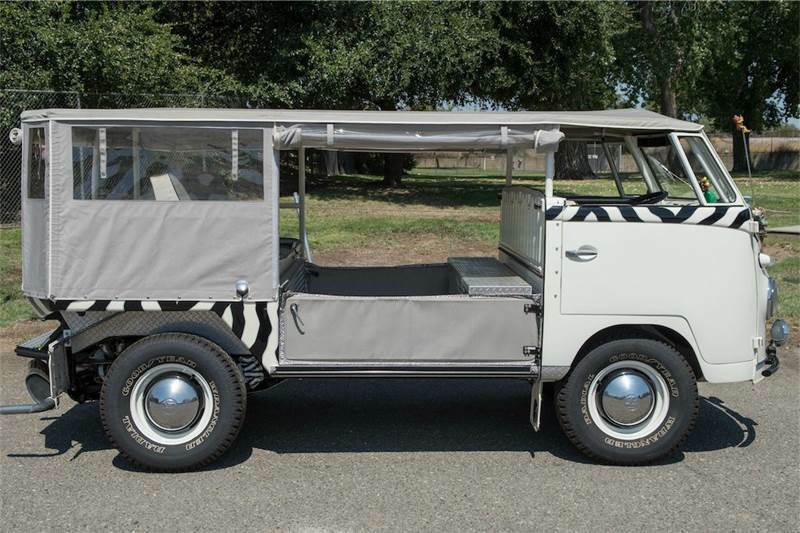 With a little 50’s & 60’s VW action, a stylish zebra print, and a safari style body, this set of wheels is definitely a head turner. 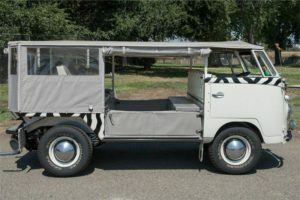 Located at the California Automobile Museum in Sacramento, CA, this professionally modified Safari Bus is worth a look. 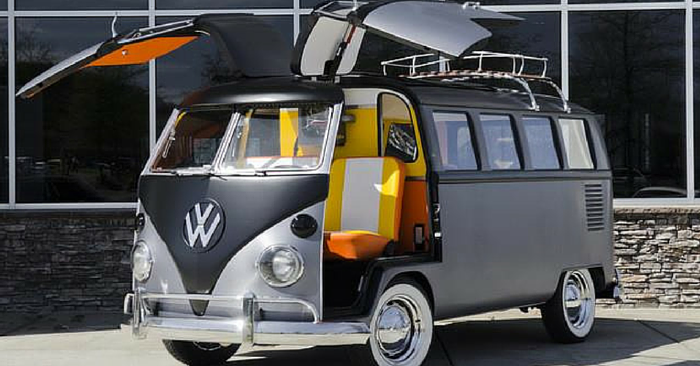 Canvas side curtains, roll cage, diamond plate flooring, storage and stereo are just a couple of the highlights. 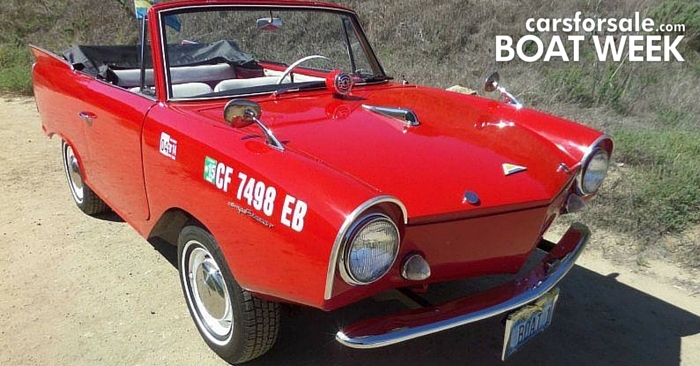 This very green set of wheels is described as super rare and a collectible. 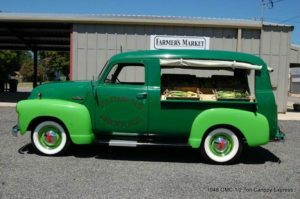 Start your melon stand the right way with a rear bed slide out produce shelf, vinyl canopies, running boards and “Farmers Produce” door signage. The Canopy Express was developed to offer a truck with an open display area behind the driver’s seat, and this one definitely offers a unique, eye catching road side attraction. Claimed as a “World of Wheels” show winner in 1985, this definitely a unique classic truck. 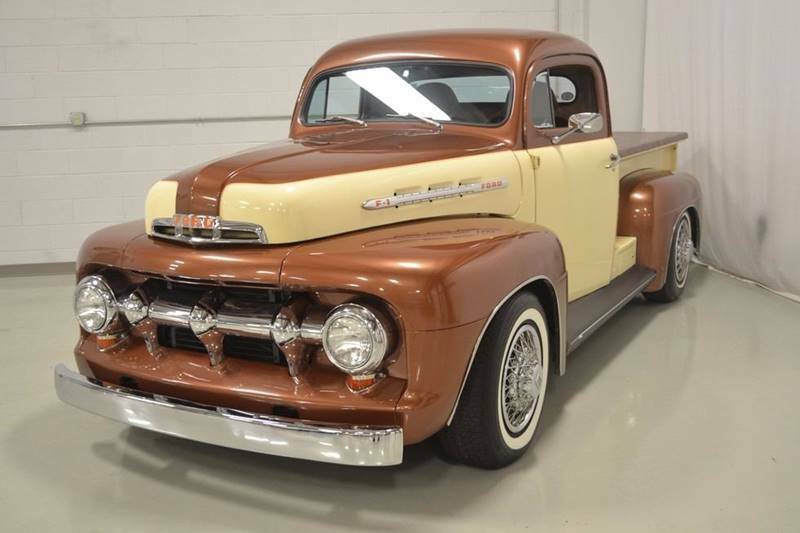 From the outside this might look like a beautiful Ford truck, but once you look at the chassis and mechanical components you will see a 1968 Oldsmobile Tornado. 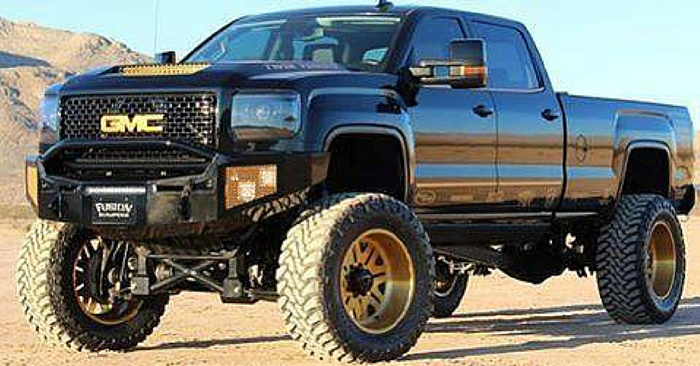 The seller states you get a modern drive and many comforts, in one of the most unusual trucks on the road today. 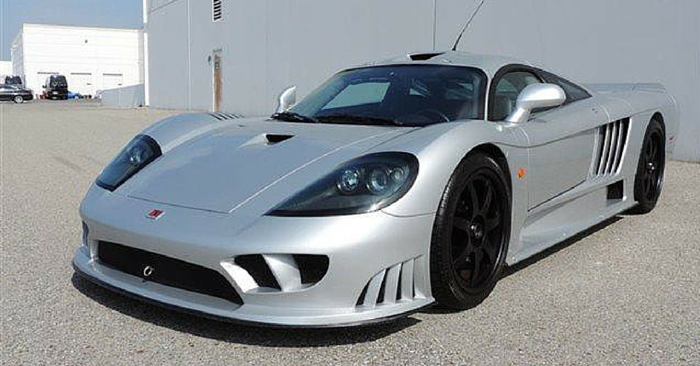 See a vehicle that should be featured in our next edition of Weird Stuff Wednesday? Send us a link in the comments below!